Tomorrow will bring a wide area of light snow to much of the Midwest. 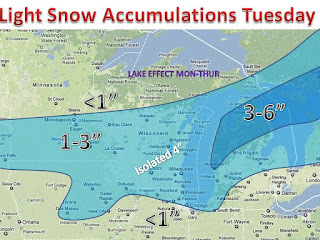 The low will deepen over lower Michigan and drop moderate snows, 3-5" isolated 6". 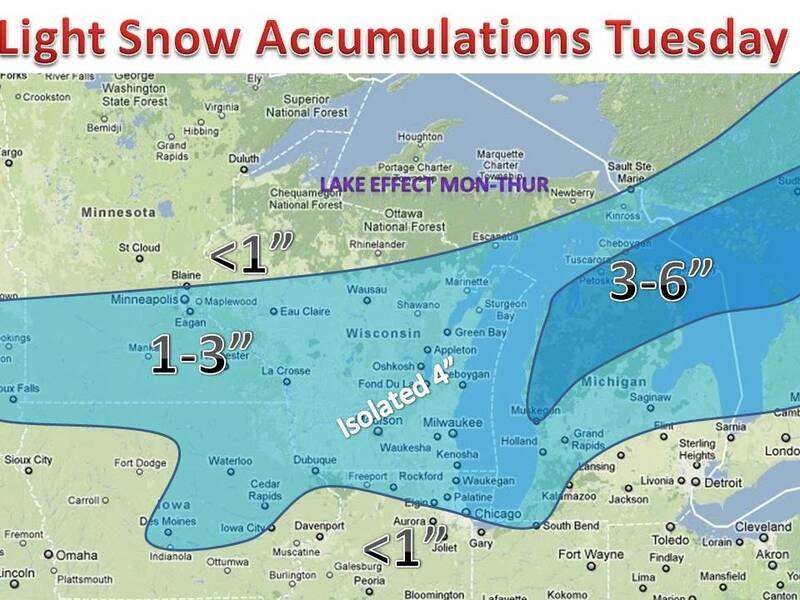 This storm will bring bands of snow, especially in eastern Wisconsin. Look for a general 1-3", but a few places that get caught under these bands could see 4". Meanwhile, the U.P of Michigan will see lake effect snow all week and areas south of snow, like Chicago will see a wintry mix change over to all snow by the afternoon. Keep it here to midwest weather talk! Edit: with new model in, added central Iowa to the 1-3".